Our five-year-old saved the day! In our previous town, these ceremonies were pretty underplayed. But since moving here to Ishinomaki, it has seemed more important. 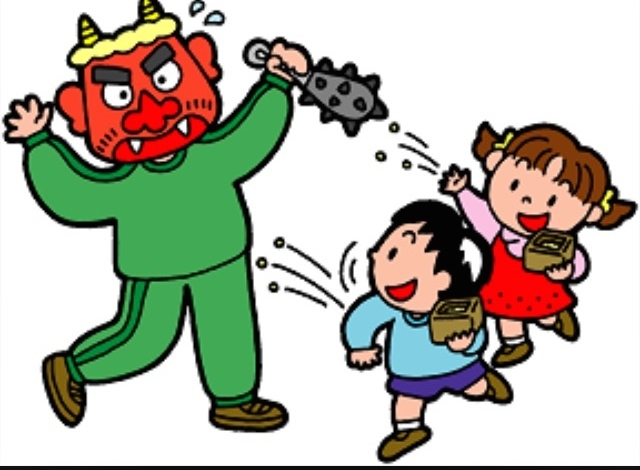 I had forgotten that today was setsubun day until my daughter came home from school crying yesterday. She had remembered coming home, and was pretty adamant that she didn’t want to have any part of the scary demon masks at school today. So I called the elementary school, and was assured that this year their classes were not planning to do anything special at school (though they did bring home peanuts as a snack!). Our five year old Ian brought home a letter yesterday stating that they would be celebrating this today, with the throwing of beans, making masks, etc. So I called his preschool, and explained to the teacher who answered that we would prefer not to have Ian participate in the setsubun rituals. The teacher put me on hold, and came back and said that was fine. This morning we prayed with all the kids as they went off. We talked to Ian a bit and explained that he wouldn’t be participating in everything they did at school – he seemed fine about it. We sent him off on the bus this morning. 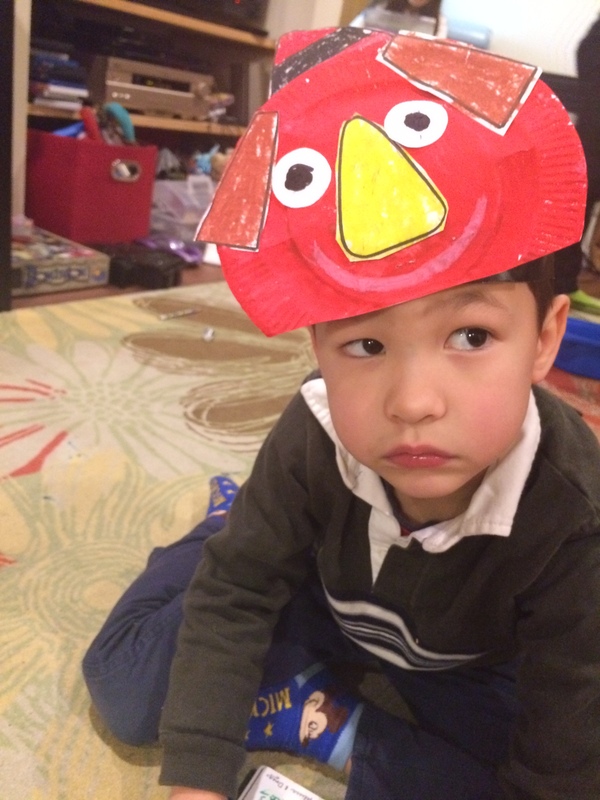 Our son deviated from the normal evil spirit masks… using all the same cut out parts for the demon masks, he made an Angry Birds mask! Genius. Made my day.